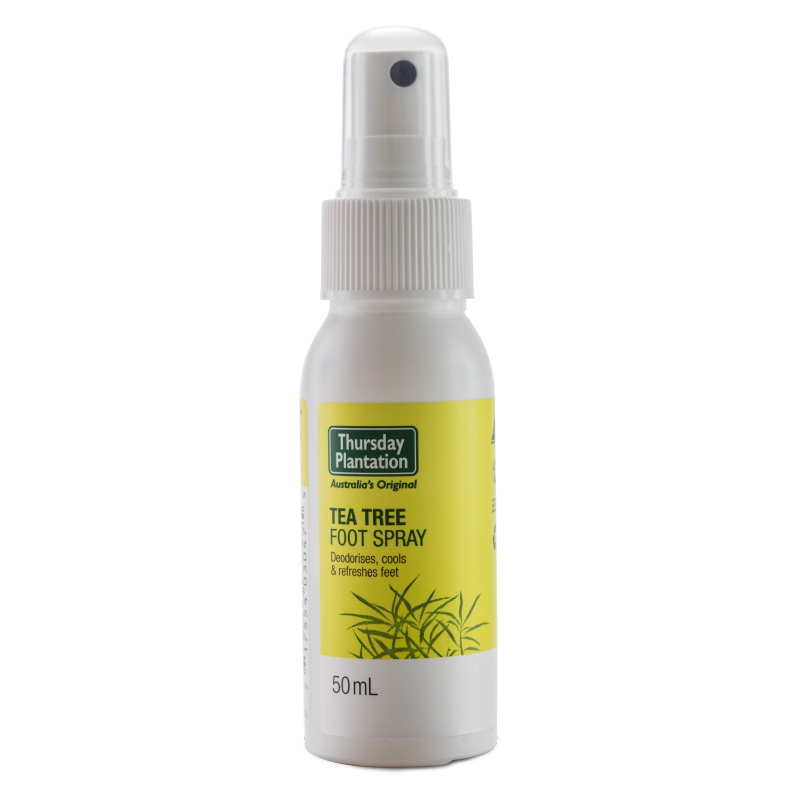 Refresh your feet and eliminate foot odour with this convenient Tea Tree Foot Spray. Free from synthetic parabens, mineral oils, petrochemicals, propylene glycol, lauryl sulphates, synthetic colours, synthetic preservatives and animal derived ingredients. Use daily on dry feet especially between the toes. Spray into shoes and socks for continued protection. Water/Aqua, Alcohol, Zinc Phenolsulfonate, Polysorbate 60, Melaleuca Alternifolia Leaf Oil, Triethyl Citrate, Fragrance/Parfum, Camphor, Menthol, Limonene, Linalool, Coumarin, Benzyl Salicylate, Eugenol, Benzyl Benzoate.